Choice Partners, Harris County Department of Education’s purchasing cooperative, will host 130 food and equipment vendors and 237 discerning students at the 2017 Totally Awesome School Nutrition Expo on Wednesday, Oct. 25, at the Humble Civic Center, 8233 Will Clayton Parkway. 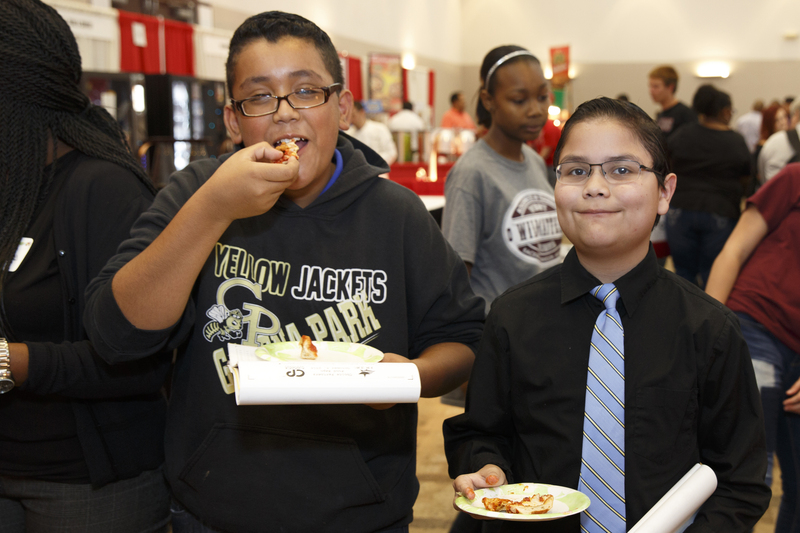 The largest expo in the food program’s history to date will give students from six area school districts the opportunity to sample foods from 11 a.m. to noon. Nutrition directors will know what students like and do not like and some of the selected food preferences may find their way to their very own school cafeteria. Among the foods to sample this year comes from a locally-owned company based in Waller, Texas. Alpha Food’s “selfie pizza” – a personal-sized pizza that has attracted much enthusiasm. As school nutrition directors evaluate quality, nutritional value and student tastes, Choice Partners gathers info needed to plan for future food contract purchases for school districts. Food is purchased annually by school districts in the Harris County area for more than 100 million student lunches through contracts available through HCDE Choice Partners cooperative. More than 130 food and equipment vendors will exhibit both classic and new products, marking more than a 50 percent increase in vendor participation over last year. Tasty Brands, a supplier of great-tasting school food that meets USDA regulations, also has its new mini ravioli dish available for students and staff to try. School districts bringing students to participate in the event include Katy, Spring Branch, Columbia-Brazoria, Galena Park, Crosby and Cleveland independent school districts.